Tony Pulis' West Bromwich Albion rarely take their spot in the Premier League for granted, but with the competition as hot as ever in what promises to be an intense season, they may need that little more. Like many for teams around that area of the table, the previous campaign was a bit of a mixed bag for the Baggies. Despite boasting a strong away record, they still hovered over the drop zone which was a cause of concern. However, they were soon firmly dispatched to one side when by the new year, they found themselves 9 points off the top four, even though that may have been more of a testament to the close competition in that region as oppose to West Brom's own quality. Chris Brunt getting struck by a coin by one of the club's own fans marked a dark area of their campaign, but soon they would secure their place in the Premier League for another season to come, almost letting their standards slip as they went seven games without a win. A fourteenth-placed finish just turned attention to getting through to the next, because for mid table teams it becomes a case of getting comfortable, then trying to shift up. One of their signature wins were the 1-0, something which personifies Albion. Their ability to get 1 goal in a game was quite significant in determining the fate of the title in fact, stifling Tottenham with a 1-1 draw. If they want to keep the goals coming, they will need to keep on hold to Saido Berahino - and we don't know whether before the action kicks off or before the end of the transfer window that he'll still be on board. Pulis did his signature job of the defending-at-all-costs mantra, which had some fans left frustrated - but what can you really do with that sort of job? Unfortunately, the fans' complaints may only worsen considering just one signing has been made in Matt Phillips, while Anichebe and Sessegnon are notable releases. West Brom's primary goal is to survive. That is an easy one though, and from there they simply need to build. It's hard motivation wise, but they know that soon enough they could crack the top ten. However, its unlikely that will be done this season. 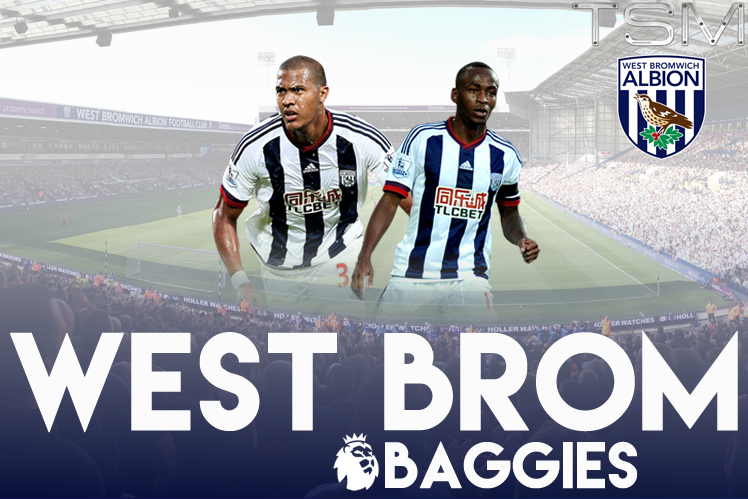 Preview, analysis and news for the Premier League 2016/17 season for West Bromwich Albion. West Brom season preview: Berahino..